Illustration by Duci Simonovic, engaged artist and enraged philosopher, Belgrade, Serbia. The power of art is doubled when grounded in moral truth. The NATO intervention in the Balkans, as seen by the victims. The alliance, which began with 15 members, now has 26, in addition to 23 “partner countries” (under the reassuring name of (“Partnership for Peace”). Combined, that’s more than one-fourth of the entire United Nations membership, and there are numerous other countries bribed and pressured to work with NATO, such as Jordan which recently sent troops to Afghanistan. Jordan and Qatar have offered to host a NATO-supported regional Security Cooperation Centre. NATO has a training mission in Iraq, and Iraqi military personnel receive training in NATO members’ countries. In recent years, almost all members of the alliance and the Partnership for Peace have sent troops to Iraq or Afghanistan or the former Yugoslavia, in each case serving as proxy US-occupation forces. Ironically, NATO is not averse at using materiel from the former Warsaw Pact, in this case a Bulgarian (Soviet-made) Antonov super-transport. Israel has had talks with the alliance about the deployment of a NATO force in their country. India is scheduled to participate in upcoming NATO war games. The list goes on, as the alliance’s outreach keeps reaching out further, holding international conferences to bring together new and potential allies, under names such as the Istanbul Cooperation Initiative, and the Mediterranean Dialogue (Algeria, Egypt, Israel, Jordan, Mauritania, Morocco and Tunisia), or expanding military ties with existing international organizations such as the Gulf Cooperation Council (Bahrain, Kuwait, Oman, Qatar, Saudi Arabia, the United Arab Emirates). 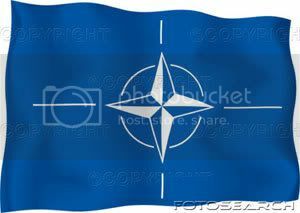 NATO has indeed acquired the trimmings and mentality of a separate, supranational state, hence its own flag. An example of naked power organized around the military fist. Ever since it undertook a Washington-instigated 78-day bombing of the former Yugoslavia in 1999, NATO has been operating in the Balkans like a colonial Governor-General. Along with the UN, it’s been leading a “peacekeeping operation” in Kosovo and takes part in the policing of Bosnia, including searching people’s homes looking for suspected war criminals wanted by the International Criminal Tribunal for the Former Yugoslavia. The triumvirate of NATO, the United States, and the European Union have been supporting Kosovo’s plan to unilaterally declare independence from Serbia, thus bypassing the UN Security Council where Serbia’s ally, Russia, has a veto. We therefore have the Western powers unilaterally declaring the independence of a part of another country’s territory; this because the Kosovo ethnic Albanians are regarded as much more reliably “pro-West” than is Serbia, which has refused to look upon the free market and the privatization of the world known as “globalization” as the summum bonum, nor shown proper enthusiasm for an American or NATO military installation upon its soil. Kosovo, however, does have a large US military base on its territory. Any attempt by Serbia to militarily prevent Kosovo from seceding would in all likelihood be met by NATO/US military force. You may wonder what a United States military base is doing in Kosovo. People all over the world wonder the same about their local American bases. You may also wonder: What force exists to slow down the growth of the Mediterranean Monster? Who can stand up to it? The military elite of the triumvirate take such a question seriously. What they apparently fear the most is nuclear weapons in the hands of the wrong people; i.e., those who don’t recognize the triumvirate’s right to dictate to the world. On January 22 the Guardian of London reported that the former armed forces chiefs from the US, Britain, Germany, France and the Netherlands had released a manifesto which insists that a “first strike” nuclear option remains an “indispensable instrument” since there is “simply no realistic prospect of a nuclear-free world”. The paper had earlier been presented to NATO’s secretary general and to the Pentagon. It is likely to be discussed at a NATO summit in Bucharest in April, along with the possible extension of the alliance to include five more former Soviet countries: Croatia, Georgia, Macedonia, Albania and Ukraine. 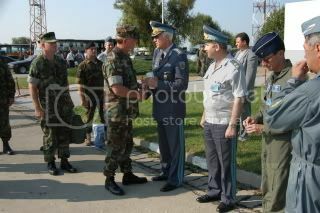 NATO’s top brass visiting their newest associates in Bulgaria. Bulgaria has been wooed and the courtship has been productive, the result of turmoil and corruption at the top levels of such nations, which now include several former Soviet republics. And Putin has no reason to feel NATO is trying—again—to encircle his country? The paper also declares that “Nato’s credibility is at stake in Afghanistan” and “Nato is at a juncture and runs the risk of failure.” The German general went so far as to declare that his own country, by insisting upon a non-combat role for its forces in Afghanistan, was contributing to “the dissolution of Nato”. Such immoderate language may be a reflection of the dark cloud which has hovered over the alliance since the end of the Cold War — that NATO has no legitimate reason for existence and that failure in Afghanistan would make this thought more present in the world’s mind. If NATO hadn’t begun to intervene outside of Europe it would have highlighted its uselessness and lack of mission. “Out of area or out of business” it was said. Democracy is a beautiful thing, except that part about letting just any old jerk vote. Why was the primary vote for former presidential candidate Dennis Kucinich so small when anti-Iraq war sentiment in the United States is supposedly so high, and Kucinich was easily the leading anti-war candidate in the Democratic race, indeed the only genuine one after former Senator Mike Gravel withdrew? Even allowing for his being cut out of several debates, Kucinich’s showing was remarkably poor. In Michigan, on January 15, it was only Kucinich and Clinton running. Clinton got 56% of the vote, the “uncommitted” vote (for candidates who had withdrawn but whose names were still on the ballot) was 39%, and Kucinich received but 4%. And Clinton, remember, has been the leading pro-war hawk of all the Democratic candidates. I think much of the answer lies in the fact that the majority of the American people — like the majority of people all over the world – aren’t very sophisticated politically, and many of them aren’t against the war for very cerebral reasons. Their opposition perhaps stems mainly from the large number of American soldiers who’ve lost their lives, or because the United States is not “winning”, or because America’s reputation in the world is being soiled, or because a majority of other Americans express their opposition to the war, or because of George W.’s multiple character defects, or because of a number of other reasons you couldn’t even guess at. Not much especially perceptive or learned in this collection. Portions of his books can be read, and signed copies purchased, at <www.killinghope.org > Previous Anti-Empire Reports can be read at this website at “essays”. To add yourself to his mailing list simply send an email to <bblum6@aol.com> with “add” in the subject line. William Blum would like your name and city in the message, but that’s optional. He asks for your city only in case he’d be speaking in your area. Or put “remove” in the subject line to do the opposite. Any part of this report may be disseminated without permission. We’d appreciate it if the websites involved were mentioned. ADDENDUM: Corroborating statements from witnesses on all sides of the political spectrum—except the center, nota bene! The editorial board of the World Socialist Web Site emphatically opposes the US-led NATO attack on Serbia. The massive air assault against a small country of less than ten million people is an act of naked imperialist aggression. It represents a qualitatively new stage in the eruption of American and European militarism. It is a telling commentary on the state of American democracy that the US government feels free to go to war without even bothering to offer a coherent explanation for its actions to its own people. Without even a trace of embarrassment President Clinton acknowledged, only hours before the bombing commenced, that most Americans probably would not be able to locate Kosovo on a world map. Without a declaration of war–indeed, without anything that can even be remotely described as a public debate–the United States has commenced the bombing of another country which has not harmed, or even threatened, a single American citizen. What is the logic of this policy? The United States assumes the right to compel countries to change their policies in accordance with American demands, i.e., to relinquish sovereignty within their own borders. Even as ruthless a practitioner of imperialist realpolitik as Henry Kissinger has warned that the war against Serbia represents an extraordinary and unprecedented redefinition of the “national interest”–which now, it would appear, includes the domestic policies of other countries. Though it has not been explicitly stated, the implication of this new “Clinton Doctrine” is that the United States may bomb and even invade countries whose domestic policies are not to its liking. This doctrine implies that any country in the world is a potential target for US bombing. It would not be difficult–based on the present state of world affairs–to draw up a list of 10 to 20 countries that could be considered likely candidates for military attack by the United States. And, were a deterioration of world economic conditions to lead to an exacerbation of trade tensions, the size of that list could quickly double. The aim of these assaults is to establish the role of the major imperialist powers–above all, the United States–as the unchallengeable arbiters of world affairs. The “New World Order” is precisely this: an international regime of unrelenting pressure and intimidation by the most powerful capitalist states against the weakest. The attack on Serbia follows a definite pattern. In recent years, military interventions by the US have occurred with increasing frequency. In less than twelve months the US has bombed the Sudan and Afghanistan and is, with the support of Britain, conducting a permanent war against Iraq. It is impossible to separate the assault on Serbia from this chain of events. But looking back on the tragic consequences of the break-up of Yugoslavia, it is clear that humanitarian issues were the last concerns motivating the intervention of the big powers. In fact, the largest single act of ethnic cleansing carried out in the entire period–the Croatian army’s expulsion of 100,000 Serbs from the Krajina region into Bosnia–was carried out with the approval of the German and American governments, and directly supervised by American personnel. A New York Times front-page article last Sunday reported that the war crimes tribunal in the Hague has concluded the Croatian army carried out summary executions, the shelling of civilians and “ethnic cleansing,” all of which occurred under the auspices of retired US military officers working in Croatia with the approval of Clinton and the Pentagon. The Times report exposed the hypocrisy of the US government, which tailors its selective outrage over ethnic atrocities to its immediate military and geo-political aims. Three Croatian generals face indictment for the atrocities committed during the Krajina offensive, but the Pentagon opposes any legal action against them, claiming the shelling of Serb towns and villages was a “legitimate military action.” Milosevic, denounced by Washington as an international outlaw, is giving the same rationale for his present policy of shelling and burning Albanian villages in Kosovo that the US gives for similar depredations against the Krajina Serbs. Viewed within an international context, the indignation of Europe and the United States over massacres and the suppression of national rights is even more cynical. While it sheds crocodile tears over the fate of the Kosovars, the United States provides military and financial support for the suppression of national and ethnic minorities by right-wing regimes all over the world. A case in point is Turkey, a NATO member and strategic US ally, which is conducting a savage war against the Kurdish population in its own country. Turkish policy towards the Kurds is even more ruthless than that carried out by Serbia against the Kosova Albanians. Turkey makes it a crime to acknowledge a Kurdish national identity, and its military violence in Kurdistan affects far more people than the Serbian repression of Kosovo Albanians. Nevertheless, Ankara has never been threatened with military raids, the Turkish military is provided with weapons and expertise by the German and American governments, and the leader of the Kurdish national movement, the PKK, has been handed over, thanks to US intervention, to his Turkish hangmen. The World Socialist Web Site has no sympathy for Milosevic, nor does it support his policies. He is a former Stalinist bureaucrat, turned rabid nationalist and defender of bourgeois property, who tramples on the democratic and social rights of the people. In this respect he is not fundamentally different from Russian president Boris Yeltsin and many other heroes of the Western media. However, the attempt to reduce the complex historical and political issues of the Balkans to the machinations of one bad man whose supposed thirst for power is the source of evil in the world is patently absurd. Given the traumatic experiences of Serbian history, no political leader–even one with none of the characteristics attributed to Milosevic–could have accepted the humiliating ultimatum delivered by the Contact Group of imperialist nations. Acceptance would amount to sanctioning foreign troops on Serbian territory and surrendering sovereignty over an area considered part of the Serbian state since the withdrawal of the Ottoman empire last century. In 1914 an ultimatum by the Habsburg empire, threatening Serbian sovereignty in a similar way, triggered World War I. During World War II several hundred thousand Serbs fell victim to a genocidal assault supported by the German occupation army. With these memories still present, and with the German army returning to the stage of international war in the bombing of Serbia, the refusal to accept the US-sponsored ultimatum can hardly be blamed on Milosevic alone. Indeed, the Western powers worked closely with Milosevic in implementing the ethnic carve-up of Bosnia under the Dayton agreement. The present war is directed not primarily against Milosevic, but rather against the Serbian population and the Balkan people as a whole. The Kosovo Albanians, in whose behalf the war is supposedly being waged, will be amongst its main victims. With a huge part of the Serbian army concentrated in and around Kosovo, the province will inevitably become one of the main theaters of military conflict, with high civilian casualties. According to a German government briefing of parliamentary leaders, NATO’s plan, should Serbia not give in after extensive bombardment, is to escalate the political and military offensive by backing the secession of Kosovo from Serbia and equipping the Kosovo Albanians with modern weapons. The conflict in Kosovo must be placed in its historical context. Its cause is not the personality of Milosevic, but the breakup of Yugoslavia, which is the combined product of the collapse of Stalinist rule and the intervention of the major capitalist powers, especially Germany and the United States. It was German support for the secession of Slovenia, and even more so its promotion of an independent Croatia in 1991, that triggered a series of nationalist eruptions, including the Bosnian civil war, the Croatian expulsion of the Krajina Serbs, and the Serbian crackdown in Kosovo. The NATO powers have intervened throughout the past decade to inflame and exploit national and ethnic tensions for their own purposes. None of the nationalist politicians in the former Yugoslavia and none of the Great Powers come to Kosovo with clean hands. There is little reason to believe that the Kosovo Liberation Army (KLA), should it take power in Kosovo, would behave differently than Milosevic, Croatia’s Tudjmann, the Bosnian Moslem leaders, or other nationalist politicians in the region. Nothing in the KLA’s past record indicates that it would treat the 180,000 Serbs living in the area differently than the Croatian army dealt with the Krajina Serbs. The removal of Serb military forces would likely be followed by the mass expulsion of the Kosovo Serbs. Serbian resistance would likely be met with KLA massacres as bloody as those being carried out against the ethnic Albanians by Milosevic’s forces today. As the recent history of the Balkans, Rwanda and other international flash points has tragically demonstrated, those subjected to “ethnic cleansing” and national oppression at one point can, at the prompting of their own bourgeois nationalist leaders, become the perpetrators of such crimes at the next point. The international press has provided extensive reports of the suffering of the Kosovo Albanians and their persecution at the hands of Serbian forces. But it has said little about the estimated 15,000 Serbs who have fled villages for towns in Kosovo since the beginning of open conflict in spring 1998. The NATO attack on Serbia will have incalculable consequences for the stability of the entire region. It threatens renewed civil war in Bosnia, destabilizes Albania and Macedonia, and undermines the rump of Serb-controlled Yugoslavia. Belgrade could face the secession of Montenegro and ethnic unrest in the province of Vojvojdina, which has no majority population, but large minorities of Serbs, Croats, Hungarians and Romanians. In the final analysis, the escalating spiral of war, civil war and ethnic cleansing which has beset the Balkans demonstrates the historically reactionary character of the entire structure of national states carved out of the former Yugoslavia. As a result of the political interference and military intervention of the imperialist powers, the Balkans have been “re-Balkanized” in a manner that precludes both economic progress and the development of genuinely democratic conditions. This policy, motivated by the most short-term considerations, may prove to have consequences far more serious than those anticipated by the Clinton administration. The decision by Russian Prime Minister Yevgeny Primakov, on the way to an official visit to Washington, to turn his plane around and go back to Moscow, and President Boris Yeltsin’s subsequent decision to sever all ties with NATO, provide an indication of the destabilizing impact of these events on Europe as a whole. A possible consequence is the emergence of an extreme nationalist regime in Russia. 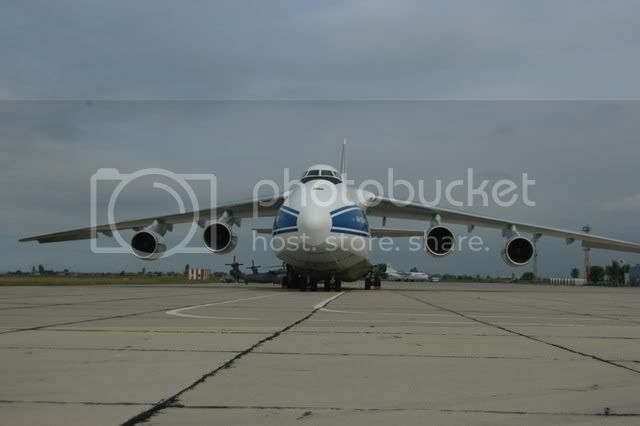 Already there are reports that Russia may supply arms to the Serbs if fighting develops on a large scale. One of the three new additions to NATO, Hungary, has no common border with any NATO country, but does have a common border with Serbia, and clashes could break out there. The fragile relations between Turkey and Greece, both members of NATO and perpetually on the brink of war, could rapidly deteriorate should the war spread to Macedonia. There are innumerable factors in this crisis that lend to the prevailing situation a tremendous degree of unpredictability. But the following can be said with certainty: whatever may emerge from the destruction and death produced by this latest eruption of US-NATO violence, it will be neither the peace nor the justice so fatuously promised to the peoples of the Balkans by President Clinton. EVEN Right wing think tanks—in this case the Libertarian Cato Institute— denounced the Clinton-endorsed NATO assault on Yugoslavia in 1999. What follows, by CATO’s leading foreign policy analyst, Ted Galen Carpenter. This article appeared on cato.org on March 23, 1999. Once again, William Blum has written a comprehensive essay, exploring seemingly divergent topics that, nevertheless, cohere in important ways. The coherent theme here, almost understated, is the nature of democracy in our modern world. As our corporate media focus the attention of our forgetful masses on one inane show after another–the “Superbowl,” “Super Tuesday,” “Law & Order,” Britney, etc.–real democracy–the ability of the people to have a say in their domestic and international affairs–is lost in the bargain. We know all we need to know about Hillary’s weepiness and McCain’s “straight-talking express,” but almost nothing about the machinations of the NATO superstate that rides roughshod over our own national policies and those of other nations. To overcome the constant sloganeering of our mass media–0ur “noble” democracy-building projects in Iraq and Afghanistan–Blum suggests “preaching to the choir”; i.e., repeating our own message to those who have heard it before, even to those mostly convinced. Why not? We, too, who have seen a glimmer of the light, read a bit of history, and managed to read between the lines, must cut through the bric-a-brac of confusing messages, irrelevant information, and plain old lies. Who will counter NATO? Blum asks at one point. Well, the Shanghai Cooperation Organization of seven powers (anchored by China and Russia) is one possible counter. How well a state of interlocking countervailing alliances bodes for a resources-challenged world we may learn from Europe circa 1914. Knowledge is always the best counter to ignorance, but ignorance more frequently counterbalances itself and we messy mortals get caught in the interstices. Still, there’s the moral injunction to keep truth-searching and truth-telling because it’s, well, the right thing to do. That Blum challenges us to think for ourselves, as well as behave morally, are the best reasons to inform ourselves, ponder his work, and act on our conclusions. 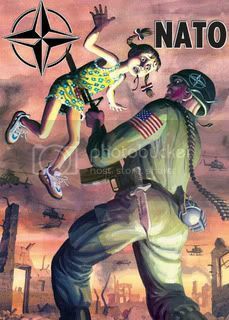 The poster you used at the top of this post, with the little girl impaled on a NATO bayonet, was created by a very dear Serb friend of mine, Duci Simonovic. Simonovic was (and to me still is) a great hero of international sports and has become one of the world’s leading anti-fascist philosophers. That poster, along with several others and a lot of his writing, is found on my blog, CirqueMinime/Paris@blog.collective.com. I think it would be righteous to credit him for that striking image. That’d be: Duci Simonovic, engaged artist and enraged philosopher, Belgrade, Serbia. Comically, the NATO alliance, like a cancer, may enroll so many nations that it will kill its host, its own raison d’etre as there will be no one left standing to fight them…well, that would be the triumph of evil, if I saw one, so let me withdraw the thought! That poster and these articles are so lame! The defenders of inhumanity are inhuman themselves!